Baby names can come from many cultures, stories, and situations. If you are a fan of the Greek stories concerning gods and goddesses, you can choose from these 50 best Greek mythology baby names for both baby boys and girls. These names define the present times in terms of characterization of people and making reference to events. What are Greek mythology names? Besides being some of the most interestingly-sounding names around, Greek names have interesting stories behind them. Most of the names are associated with a certain quality rather than the simple sound of it. Greek myths have some of the most interesting stories whose characters are gods, heroes, spirits and other deities with unique traits. Besides that, there are rituals that determined major events such as love, war, and ceremonies. These names not only sound nice for your baby but they also give them a unique character. Chances are also high that only your child will have that name around. Rhea is one of the most powerful female names in Greek mythology. Is stands for fertility and motherhood since Rhea was the mother of Zeus and one of the Greek titans. Zeus would go on to be the leader among the gods. The name Penelope is used as a symbol of faithfulness. She was the wife of Odysseus and she remained faithful to him even with a lot of temptations on her end. Helen is a name that stands for beauty as she was the beautiful daughter of the gods Zeus and Leda. The myths describe her as the most beautiful woman in the world. The name Gaia stands for power and nature. Gaia created the universe and everything in it and was thus considered the goddess of the earth and all the primordial deities. Clio was the muse of history in Greek. As the daughter of Zeus and Mnemosyne, she has been widely described by the myths as a symbol of historical prowess. Perhaps the one name that inspires a lot of girls in Greek mythology is Athena. It symbolizes justice, wisdom, law and courage. On its own, the name relates to Athens which was the city of the gods dedicated to the goddess Athena. Besides the name Cassandra being beautiful on its own, it was the name of the daughter of the king and queen of Troy. Her beauty was so captivating that the god Apollo gave her the gift of prophesying. As the female version of Adrastos and the name also used by the Greek Goddess Nemesis, she stands for courage and wit as she stood her own in times of difficulty and against the odds. Anthea means for ‘flower’ and thus a symbol of beauty. The name was also used as a moniker for the goddess Hera. Atlanta stands for a unique combination of beauty and strength. In Greek mythology, Atlanta was a very beautiful girl whose beauty was only rivaled by her fast pace in races. If any young men wanted to marry her, she would challenge them to a race and promised to only marry the one who would beat her. Hippomania was the only one who tricked her and defeated her in the race. Danae stands for beauty and royalty. She was born as the princess of Argos and later was the mother of Perseus. The birth of Perseus to Danae mother was in the form of a mystical shower of gold. Erato stands for loveliness in Greek. She was among the nine muses of (lyrical) poetry. This girl baby name can be something that inspires gentle creativity in your baby girl. This name only rivals Athena in fame and popularity. The continent of Europe is named after her. In Greek, Zeus abducted Europa who was a Phoenician princess then took her to Crete. This Greek girl name, therefore, means strength and desire. She was the goddess of youth and daughter of Zeus and Hera. This name means harmony in English. As the daughter of Ares and Aphrodite, Harmonia was given to Cadmus by Zeus to be his wife. The one name that speaks of great wisdom and strength, then it is Hippolyta. Besides being the daughter of the powerful Ares, she doubled up as the queen of the Amazon which is a famed race of the best female warriors. Besides her beauty and royal blood, Iphigeneia was famed for her warm personality. Her father, the King Agamemnon, used magic to transport her to the famed city of Taurus. The story behind Kallisto is an intriguing one. Zeus fell in love with her when she was a very beautiful nymph. However, the goddess Hera changed her into a bear. The Great Bear constellation is named after her. This name has been used twice in history, first by the Greek daughter to Pelasgus and the 4th century Greek martyr. It is a name associated with great hope and resolve in the bearer. When translated to English, Melete means practice and meditation. As one of the three original muses, Melete stood for meditation. It would be such a fitting name for a calm lady. Phaedra stands for or means ‘bright’ hence a befitting name to your bundle of joy. In Greek culture, it was the name bestowed upon the daughter of Minos and the eventual wife of Theseus. Like Phaedra, Phaenna is a great name for the child the brought joy to your life as it stands for ‘shining’ in English. It is the name held by one of the three Graces of which humans looked up to for benevolence. If your baby is all smiles and a joy to look at, then she deserves the name Thalia. In the ancient Greek mythology, Thalia was the name of one of the nine muses. She was the muse of pastoral poetry and comedy. Thalia too was among the three Graces hence such a dynamically beautiful name. The name Pistis stands for faith and trust in ancient according to Greek myths. It is thus the embodiment of trust and your baby will definitely be one to live to its billing. Probably the unique name in the group in sound and what it stands for. As one of the nine muses, Terpsichore was the muse of dramatics and dance. These and many more female baby names from the ancient Greek mythology can be given to your daughter. 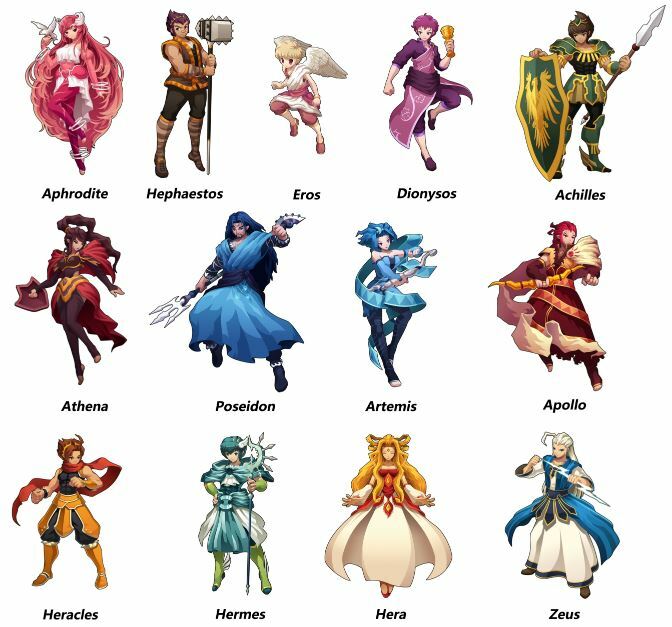 Between the female and male names from ancient Greece, the male ones are the most known due to their famous feats in mythology. Names for boys and girls. If you need to give your little boy a name that will give him the traits (and sound) of a hero, pick one on this list of Greek baby boy names. In Homer’s Iliad, one of the best tales about classical Greek culture, Ajax plays many important roles as a hero among the gods. If you have a strong boy on your hands, this is a befitting name. Apollo is the most famous of the children of Zeus and Leto. He is held in high regard as the god of enlightenment, knowledge, prophesy, arts and music. For a child destined for greatness, Apollo is the best name. Ares had a strong will and was the god of war. It is thus a great name for a strong boy destined to lead. In Greek mythology, Damon was the god of loyalty and trust especially when it came to friendship. A tale is told of the grave danger he got himself into for his friend. As the twin brother to Pollux, Castor was transformed into the constellation by the same name with his brother after Pollux pleaded with Zeus to keep them together after Castor’s death. It is a name symbolizing loyalty and valor. Your baby will certainly have a unique name when you give him this one since few people have it. In the ancient Greek mythology, this was the name for the god of party, festivals and wine and a jolly name to give to your child. Hermes was the son of Zeus and Maia and the god of trade and travel. For this reason, he has been associated with financial prowess over the years. The son of King Priam and Queen Hecuba, Hector was one of the greatest warriors in Troy with his skills shining bright during the Trojan War. It is associated with valor and honor. Valor and honor mixed with gentlemanly traits come together in Perseus and the tale in his honor. He defeated the hypnotizing Medusa besides rescuing Andromeda from a monster of the sea. While modern versions of Paris are common among girls, the original holder of this name was a boy. For his great looks and deep ambition, Paris married Helen of Troy leading to the breakout of the Trojan War. As the head of the gods and the god of thunder and sky, the name Zeus has inspired many as it speaks of great courage and valor. The brother of Zeus and god of the sea and earthquakes. Poseidon is one of the most powerful names given the god’s power over man and nature. Greek mythology exalts Theseus as the king of Athens. His name means ‘to set’ which was given to him owing to his crafty and wise methods. The name Proteus means ‘first’ and was another of the sea gods. His role was as a prophet and thus a symbol of vision and wisdom. If there is a name in ancient Greek mythology which directly translates to courage, then it is Adrastos. Its English version is loosely ‘not inclined to run away’ hence a symbol of courage. After being killed when hunting a wild boar, Adonis became an exalted figure in Greek mythology. The name Adonis is translated to ‘lord’ from this episode. As the son of the nymph Orseis and the beautiful Helen, Aeolus grew to become the god of the wind. He thus wielded power over nature hence a powerful name for your child. Meaning ‘very steadfast,’ Agamemnon’s name speaks of courage and resolve at its best. After Paris had taken the beautiful Helen as his wife, Agamemnon is the one who led the war on Troy to reclaim the lady. Achilles is the hero in Greek mythology who defeated Hector (considered the best warrior ever). The tendon at the heel is also named after him since it was his only weakness. Atlas was one of the most powerful of the titans ever told. For having fallen out of favor with Zeus, he was given the task of supporting the sky on his bare shoulders. His name thus is a symbol of strength and resolve. Argos is a baby name meaning ‘shining’. It was the name given to the man with a hundred eyes and the builder of the Argo. If you are looking for a male Greek name inspired by the ancient stories, Argos is a good choice. The name Brontes means ‘thunderous’ in classic Greek. He was one of the three Cyclopes. The name inspires seriousness and toughness in your baby. When the god Apollo gave birth to a son with Cyrene, they named him Aristaeus. He would later grow into the god of cattle and agriculture in general. This was the name of a Trojan War hero who later founded the city of Pallantium. His name means ‘good man’ and he was a hero full of valor and honor. The reason why the name Jason is so common in the United States is the Greek mythology surrounding this name. As the leader and hero of the Argonauts, Jason is remembered for having great acts of courage to win the golden fleece among many other heroic acts.